The Shim Farm is a one-man working coffee, protea, and botanical farm located in the upcountry of Maui, HI. It is located in the heart of Kula's rustic Chinatown area with a million dollar view of the island from 3,500 above sea level. See everything that goes into the making of a bag of dark roast coffee. This includes the coffee trees, coffee beans, and all of the machines, such as a pulper, huller, drying tray, and roaster, that are used to process coffee into its final drinkable form. 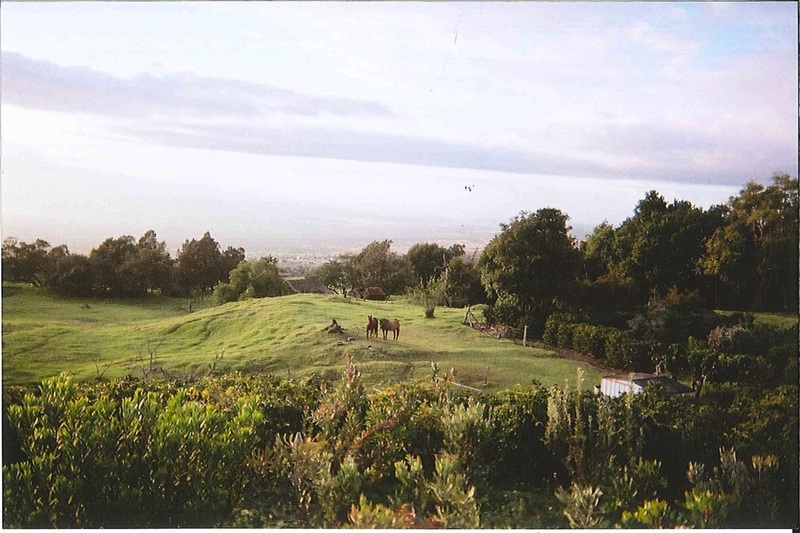 In addition to coffee, the farm has an aromatherapy area, a Hawaiian plants section, the original house where grandpa and grandma Shim raised their children, evidence of lava flow, a variety of fruit trees, flower, and other plants, and horses grazing in the pasture.